47 seven year old Ragini Sah, a loving homemaker was leading a simple life along with her husband, Ajay Sah and three School going children in Nonihat, a small village near Dumka in Jharkhand. They had been facing severe financial crisis since the last few years due to continual losses in her husband's business. To add fuel to fire she was detected with cancer a few months back and is now fighting for her life. The whole family has fallen into deep despair on the face of this new crisis in their lives. 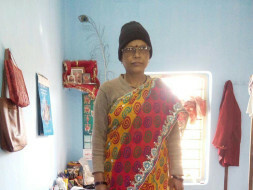 She has gone through 3 Chemotherapy sessions in Kolkata till date with what small savings they had and help from relatives. Her husband has had to leave whatever small business he was doing to take her for treatments for long periods to Kolkata. With no source of income at this crucial time, he has become financially broke. She still has to undergo a long treatment- surgery, chemo and radiotherapy. They need assistance to continue this fight against cancer and also save their small family. Ragini was the lifeline of this small family taking care of all the needs of her children and a support to her husband at home. With her so ill the children are facing life with so much difficulties. "The children are at the most crucial stage of their lives and require the love and care of the mother however after she is bed ridden, my eldest daughter has taken her role and she trying her best to ensure the pain of missing their mother recedes"
Ajay is facing such tough times with the wife in pain, financial crisis and children to look after. Ajay had already taken a loan from friends and relatives to ensure his children get the best education. He was looking to clear off the debt but the news of Ragini's condition devastated him, he is in no condition to borrow money from his relatives anymore and sees crowdfunding as one the last options to funds his ailing wife. Ajay has already been facing difficulties in arranging money for her treatment since he has no savings left due to business loss. Somehow he has been able to arrange money by selling off some his property. Burdened and unable to bear the cost of treatment this family needs all the support that can come their way. He has been able to arrange to 2 lakhs but is still short of 5 lakhs. Please come forward in supporting Ajay and saving his wife and the mother of two kids. 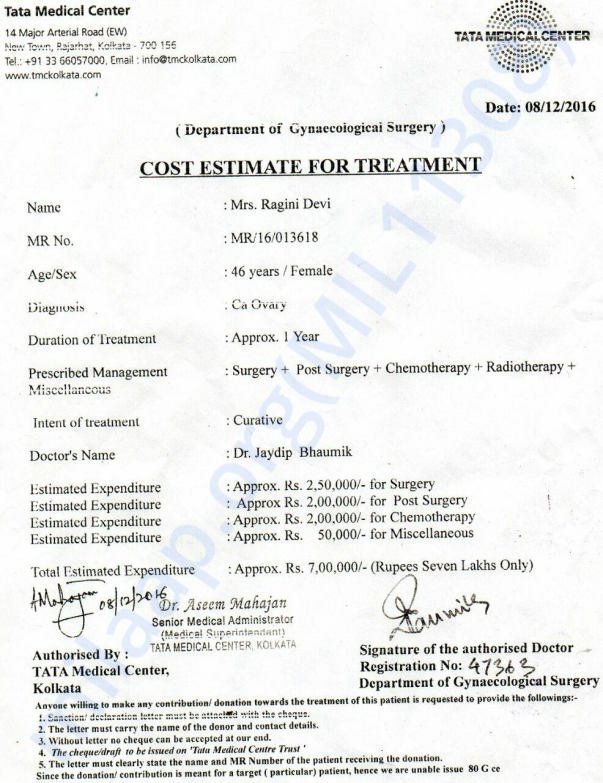 Funds transferred would be used towards the treatment of Ragini. Please help save a family. Even a small contribution from your end would be a big help for this family. 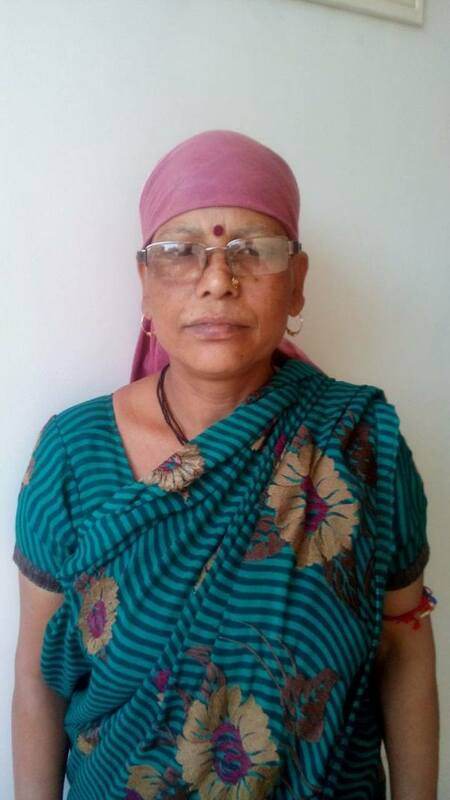 Mrs. Ragini underwent the operation to remove her tumor and the operation was successful. She is back to her hometown now and is recovering. There is still weakness and pain and she will not be able to do the household chores to full length but she is feeling much better than before. The doctors have asked her to visit the hospital in October for a routine check-up where a blood test will be done to check on her treatment's progress. Thank you all for the prayers and support. 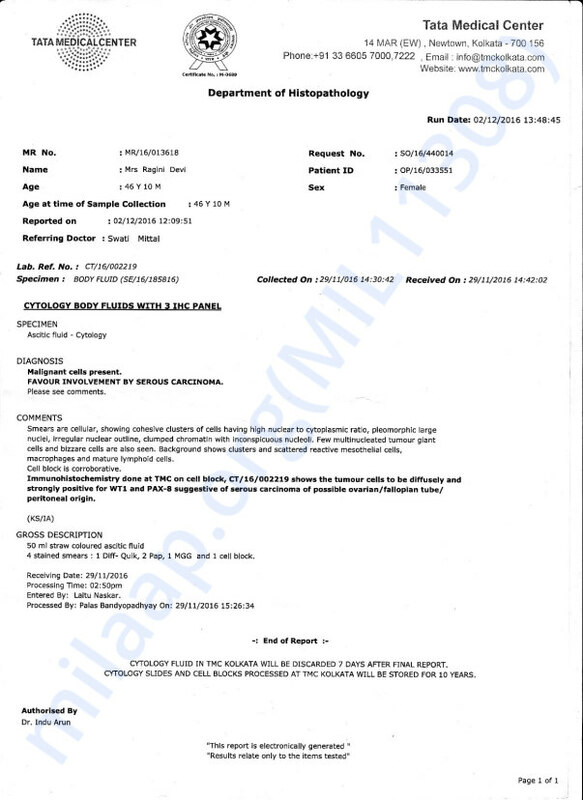 Mrs. Ragini has undergone an operation and is awaiting the next session of Chemotherapy. Her condition is better than before. However, she will need more support to continue this fight against cancer. Update regarding Ragini's health. Ragini was referred and is now shifted to Tata Memorial cancer hospital Mumbai. She is currently going her cycles of chemotherapy. The Doctors are currently running various tests to ascertain what would be the next course of medical treatment. We shall update you with the new developments in the coming few weeks. Appreciate your support to the campaign.